﻿﻿Supervision can be described as a mutual undertaking between supervisor and supervisee. It is an evolving process, intended to promote growth and development while evaluating performance and maintaining standards of the profession. AOTA uses the term “Fieldwork Educator” to help to clarify the roles and responsibilities of those therapists who are committed to “training up” the next generation of OT practitioners. Supervision of student interns is a dynamic process of managing learning experiences in relation to the fieldwork objectives and expectations outlined in the Fieldwork Performance Evaluation. The fieldwork experience should be structured to maintain quality care for clients (always a priority), while simultaneously facilitating learning for the OT/OTA intern. Working toward mastery of entry-level skills required for competence is a collaborative process between the fieldwork educator and the intern. ​Although fieldwork educators can serve as a major source of support for while learning, it is unrealistic for interns to expect them to tell the answers or to direct all of their activities. In addition, it is important to acknowledge that the most valued characteristics in a supervisor are different than those of a friend. If there is confusion regarding these roles on either the part of the intern or the fieldwork educator, it can disrupt the balance in the relationship. A more social relationship, although easing the stress of a new situation, may lead to dependency versus autonomy issues. This will most likely interfere with the giving and receiving of feedback when the fieldwork educator assumes his or her role as evaluator of the intern’s performance. Read and understand the Level I or Level II Fieldwork Performance Evaluation provided by the school. This evaluation will be the main guide in evaluating student performance throughout the internship. It will be the primary tool to document student progress at the mid-term point and the final week. You should understand the Fieldwork Performance Evaluation and be prepared to discuss it with your student to it as part of your orientation. Review your site-specific learning objectives. ACOTE requires each Level II fieldwork site to have clearly written learning objectives addressing the performance, knowledge, and judgment expected of student interns. You should understand those objectives and be prepared to discuss them with your student as part of your orientation. Prepare and understand your weekly or daily schedule for the internship. As part the student’s orientation, you should be prepared to discuss week-by-week (or day-by-day) outline of expectations and assignments. If part of your school's requirements, develop or revise student project assignments. Projects (assignments that go beyond the responsibilities associated with direct intervention, evaluation, and documentation) help students gain understanding of real issues and challenges of the setting. Sites typically require that students prepare and present inservices, conduct case study reports, complete clinic improvement projects, or develop a pieces of therapy equipment. Keep your assignments relevant by updating them to address the real needs and objectives of your program. Be prepared to provide your students with clear directions, time lines, and expected outcome criteria. Understand your roles and responsibilities as a fieldwork educator. This website that contains a number of valuable resources to help you to be successful in your role of fieldwork educator. In addition, there are self-paced web-based courses. Not only can you learn a lot, these activities can count toward your professional development activities. Ask questions! Academic Fieldwork Educators are always available if you questions, or simply need support. Typically, six weeks to two months before the start date, your student will send you a letter and information about his/her learning styles, interests, background, etc. After you have received the letter, you should then contact the student to discuss any requirements that might need to be completed prior to the start date (i.e. attend an orientation, complete a volunteer application, participate in an interview, etc. ), and go over other essential information (i.e. work hours, dress code, etc.). Your Academic Fieldwork Coordinator will be touch with you as the start date approaches. In the mean time, don’t hesitate to contact the Academic Fieldwork Coordinator if you have questions. AOTA Committee on Education recommends that regular meeting times be scheduled for formal supervision with your student (at least weekly for Level II). A formal supervision meeting is defined as an uninterrupted session devoted solely to the learning and professional growth of the intern. In addition to formal supervision meetings, there should be numerous opportunities for interaction on a more frequent basis, both formally and informally. The fieldwork educator (that's you!) and intern are responsible for sharing in the process of ongoing evaluation of intern progress and modifying the learning experience within the existing environment accordingly. Reflecting on certain clinical situations or case studies can help to generate relevant questions and identify an agenda for supervision. Having the intern keep a journal will also help to highlight areas in which he/she may need additional help or information. In addition to serving as a tool to help the intern prepare for supervision meetings, a written journal can also help to encourage self-reflection and self-evaluation. Some fieldwork settings have assignments involving the use of journaling to examine specific topics related to clinical practice, group process, or the fieldwork experience. Brainstorming a problem list and potential solutions for review. Submitting documents/assignments for review in a timely manner. Identifying specific personal learning needs and objectives. These strategies may facilitate more efficient and effective use of supervision times. It is expected that the nature of supervision will change, evolving over the course of the fieldwork. 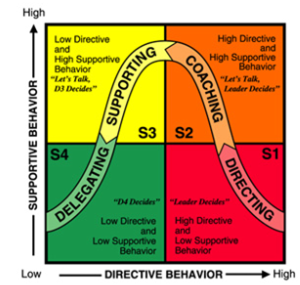 Initial supervision will typically be directive (frequent input and highly structured). As the intern develops skills and a better understanding of what is required, you may become less directive and adopt a coaching style (providing regular feedback, but back off a bit). During these initial phases of supervision, the intern should be expected to actively participate by sharing ideas, opinions, and feelings, and by following through with designated plans. ​Generally, at the midpoint of the fieldwork, as the intern takes on more responsibility and demonstrates increased competence and confidence, you may assume more of a supportive role (being readily available to answer questions and provide feedback as needed or requested). At this time, the intern should be actively engaging in problem identification, problem solving, and goal setting. Decision-making becomes a shared responsibility, with you providing assurance and resources to facilitate learning. In the final stages of fieldwork, the intern should assume greater responsibility for decision-making and independently carry out work activities that are delegated and monitored by you. ﻿The intern’s performance on fieldwork is formally evaluated by the fieldwork educator(s) using the fieldwork performance evaluation provided by the school. Formal evaluation should occur at least once by the midpoint of the experience, in addition to the final assessment. At the mid-term, the evaluation should be used as a coaching tool to identify what has been accomplished and what remains to be achieved in order to successfully complete the fieldwork. Describe your strengths thus far. Describe areas where you need to grow or improve. List steps you can take to address the areas needing improvement. Some fieldwork settings have adopted the use of a collaborative model of supervision: one supervisor to two or more interns. Intrinsic to this model are the values of cooperation and teamwork among the interns. Typically with this model interns work together to provide peer support, generate agenda, and solve problems. The interns then bring agenda to the fieldwork educator for further direction and collaboration. Sites implementing this model of supervision provide interns with an orientation to the policies and procedures of its use specific to the setting. Another approach is a shared supervisor model. In this configuration, one intern has two (or more) supervisors. When using this model, it is vital that the intern assume responsibility to clarify and communicate expectations and feedback when interacting with his or her supervisors. Carrying a communication book or log between supervisors can be helpful. As with any transition, students leaving academia face a process of change from one structure, role, or sense of self to another. The struggle to assimilate into a new environment and to develop a new role may jolt students into disequilibrium, and some may have trouble adjusting to the new role. However, as is true of all of life, this disequilibrium can be an opportunity for growth, especially in the context of a supportive supervisory relationship. Assessing the interns learning styles and needs. Setting goals that are relevant, understandable, measurable, behavioral, and achievable. Developing a plan of assignments and learning experiences that will lead goal achievement. Grading and adapting learning tasks to be sufficiently challenging, yet achievable. Providing support, feedback and encouragement along the way. Level II fieldwork education can be one of the most influential elements of a student's preparation for practice. The 2007 AOTA Ad Hoc Committee to Explore and Develop Resources for Occupational Therapy Fieldwork Educators stated that "fieldwork education is a primary driver in transforming our current practice into meeting the 2017 Centennial Vision" (AOTA, 2007a, p. 14). Often, fieldwork educators taking their first student have only their own Level II fieldwork experiences to guide their teaching. Few occupational therapy practitioners have formal training in education. Educators Certificate Program (AOTA, 2009a) which is being offered nationwide by regional trainers. OTfieldwork is not affiliated with AOTA. Links are provided as a convenience for visitors to this site. AOTA membership log-in required for some links.